The namesake artifacts of the Dragon Ball series, dragon balls are objects of extraordinary magic. 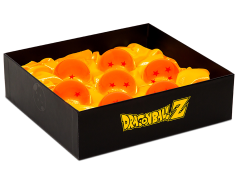 Once all 7 balls are collected, a user can summon an Eternal Dragon who will come forth and grant them a wish. 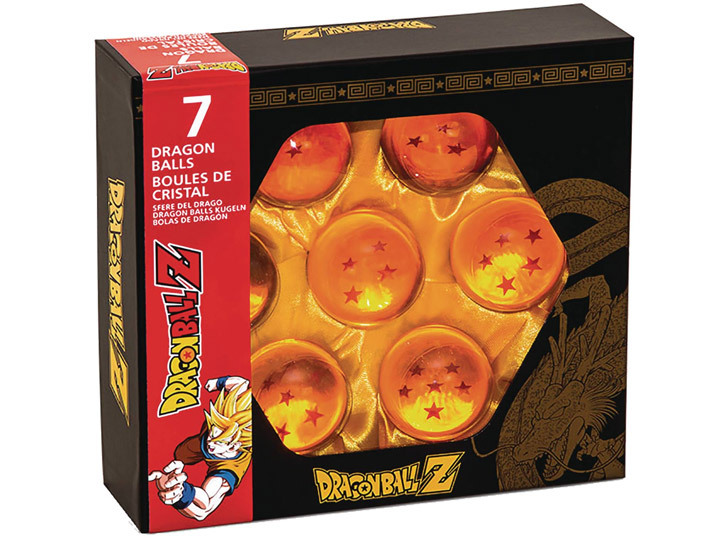 This replica Dragon Ball collector's set includes all 7 dragon balls in a satin-lined display box. The acrylic orbs each feature the star marks from the series and are about 2" in diameter. This officially-licensed set is the perfect addition to any Dragon Ball Z fan's collection!